Henry David Thoreau, writer, naturalist, and philosopher, was born in Concord, Massachusetts, in 1817. When he graduated from Harvard in 1837, jobs were scarce, as a great economic downturn had taken hold of the country. Thoreau was lucky to find a job teaching at the Concord Center School, but he resigned after just two weeks because he disagreed with the school's policy of using corporal punishment on its students. Thoreau began to make a name for himself as a poet and writer after establishing a friendship with Ralph Waldo Emerson. Through Emerson, Thoreau became involved in the transcendentalist movement, a discipline promoting self-education and the development of the individual. Although regarded by some as being somewhat vague and dreamy in their thoughts, transcendentalists pursued aggressive stances on social, political, and intellectual reforms. Thoreau's journey of self-discovery led him to Walden Pond, just south of Concord, where he built a cabin and lived for two years. He believed that the cultivation of one's self and the cultivation of the soil have much in common, and while at Walden his garden and the surrounding wilderness took on great metaphorical significance. During this time Thoreau wrote the first draft of "Walden," one of his best known works. Although isolated, Thoreau had not retreated from society or the issues of the day — especially slavery. Initially an adherent to non-resistance (as promoted by abolitionist William Lloyd Garrison that one should not resist force with force), Thoreau would later take a more radical stance. 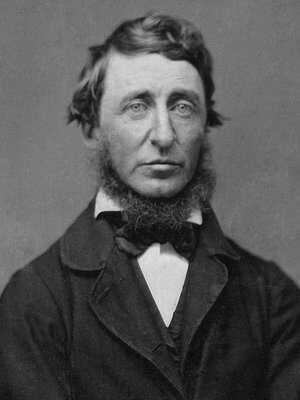 In July of 1846, Thoreau spent a night in the Concord jail for nonpayment of his poll tax. This experience would prompt Thoreau to write the influential essay, "Civil Disobedience." In it, he argues that the individual is never obliged to surrender conscience to the majority or to the State. If a law "is of such a nature that it requires you to be the agent of injustice to another," he writes, "then, I say, break the law." In 1854 he denounced the Fugitive Slave Law in his powerful "Slavery in Massachusetts" speech, stopping just short of advocating violent disobedience. In John Brown, Thoreau was pleased to find an avid practitioner of civil — if not outwardly violent -- disobedience. He had been introduced to Brown through his friend, Franklin Sanborn, who was attempting to drum up support for Brown's continued antislavery campaign in Kansas. Brown was full of exciting stories of his Kansas battles. (He omitted any mention of his involvement in the Pottawatomie massacre.) Brown said that he too hated violence, but accepted it as God's will. Thoreau was impressed by Brown's determination and the strength of his convictions. Thoreau would write; "I do not wish to kill or be killed, but I can foresee circumstances in which both of these things would be unavoidable." Perhaps the time had come for violent resistance. On October 19, 1859, Thoreau heard the news of John Brown's raid on Harpers Ferry. While most in the North were quick to condemn Brown, Thoreau spoke in his defense. On October 30, he presented his essay, "A Plea for Captain John Brown," to the town of Concord. Thoreau took the high ground. He did not defend Brown's actions or his character, but the principle under which he acted. 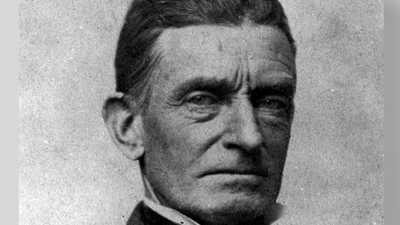 He called John Brown a "transcendentalist above all, a man of ideas and principles," who dared to risk his life for the liberation of slaves. Is it not possible that an individual may be right and a government wrong? Are laws to be enforced simply because they were made? Or declared by any number of men to be good, if they are not good? While Thoreau's defense was being circulated in the press, John Brown was addressing the court at his trial in Virginia. His memorable words would further humanize and ennoble his actions. By the time Brown was hanged, he was well on his way to becoming a martyr. 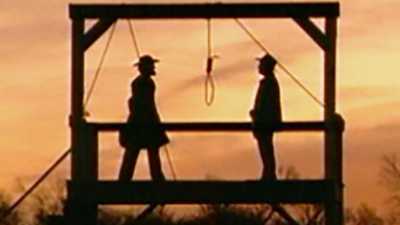 Thoreau would write of his death: "Some 1800 years ago, Christ was crucified. This morning, Captain Brown was hung. He is not Old Brown any longer; he is an angel of light." Thoreau would only live a few years longer himself. While studying trees one day, he caught a cold that quickly deepened into bronchitis. 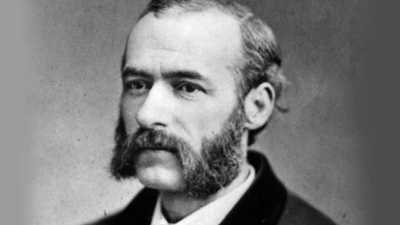 In 1862 he died from tuberculosis. He was 44 years old.